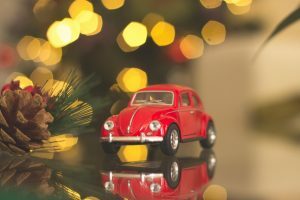 If you love someone who loves cars, you know that holiday shopping for them can often be tricky — especially if you are not that into cars. The good news is that it’s actually not that hard to buy for the car-lover in your life, as long as you have a little guidance. Here’s a starter guide that offers gift suggestions for the giver working with any budget. A bucket filled with nice cleaning products, such as soap, wax, sponges, interior cleaner, etc. If your loved one loves cars, chances are they like to do their own washing. The gift of a clean garage. A car-lover would love to be able to park their beloved automobile and possibly work on it in their garage, but many of us simply have too much stuff in there. Rent them an offsite storage unit for the holidays to hold all their garage junk overflow. The overall average price of a self-storage unit booked in Sacramento, California, over the past 180 days is $95.99, so it’s not that expensive to help give them this dream. Die-cast car kit. If you car-lover likes collectibles and/or building models, a cool die-cast car or two is fairly inexpensive and a great gift idea. A dashboard camera. No matter how great a driver you car-loving friend or family member is, there are some bad drivers out there. A good dashboard camera helps prevent cases of insurance fraud and mistaken fault if an accident does occur. According to Popular Mechanics, the highest-rated ones on the market range from about $48 to $250, making this gift idea a steal or a splurge, depending on your budget. A remote starter. These devices can be installed in a flash and will allow your loved one to start their car from inside their home or office. This is a lifesaver on hot or snowy days when you want to blast the A/C or defroster before getting in. Luxe leather driving gloves. This is something your car-loving loved one may not think about buying, but there are plenty of benefits. For one, nice driving gloves protect the steering wheel from the oils of your skin. They are also a stylish way to stay warm during the colder months while providing traction. Buy them a new set of speakers. Everyone loves to jam while driving down the road, and oftentimes, the factory speakers just don’t cut it. There are a lot of car speaker options out there, so make sure you check online to find the best before you make a pricey purchase. as much installation time as you may think! A car mechanic’s tool set is the perfect gift for the auto enthusiast who knows their way around the garage. Nice mechanic tool sets can be expensive, but a nice 300- to 400-piece set is the definition of a show-stopping gift. No matter what gift you get your car-loving loved one, try to keep this in mind: people are particular about their cars, so ask around. See what they like. Drop some hints. But remember: no matter how much you spend on them, they’ll appreciate your thoughtfulness!